The iPhone X price and release date have been announced, and it'll cost you more than any other iPhone and be here later than expected. But Apple thinks it'll be worth your money and the time you have to wait. This is Apple's 10th anniversary iPhone and it's making big changes for 2017. It's not the only smartphone announced by CEO Tim Cook today at the Steve Jobs Theater at the new Apple campus. The iPhone 8 and iPhone 8 Plus are coming, too. 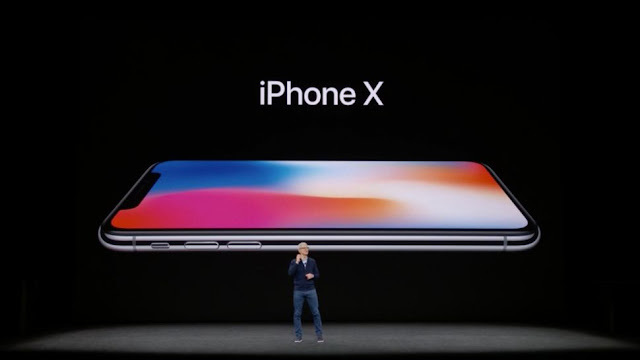 But the iPhone X is flagship phone you really want. It takes Apple's ten-year-old smartphone design in a bold new direction. It also leaves behind a physical home button or fingerprint sensor. Is it worth the high iPhone X? What are its big features you need to know about? We have all of your iPhone X answers, including how to pronounce the name. The iPhone X is launching on Friday, November 3, Apple announced today, and that's a lot later than the new iPhone's usual September launch date. The iPhone X release date is Friday, October 27, and yes, that means for the first time since the iPhone 5S, Apple won't actually ship its new iPhone until September. The pre-order is later, too: Friday October 27. That's later than the iPhone 8 and iPhone 8 Plus pre-order and even its launch date. The iPhone X price starts at $999, which makes it the most expensive iPhone ever. And that's just for the 64GB storage. How much will the 256GB iPhone X cost? It'll be $1,149. Saldy, there's no option in between. Also, US carriers like Verizon, AT&T and T-Mobile may charge as much as $42 a month for the iPhone X, breaking up the $1,000 payments over 24 months. Regardless of how you're paying, it's going to be expensive. 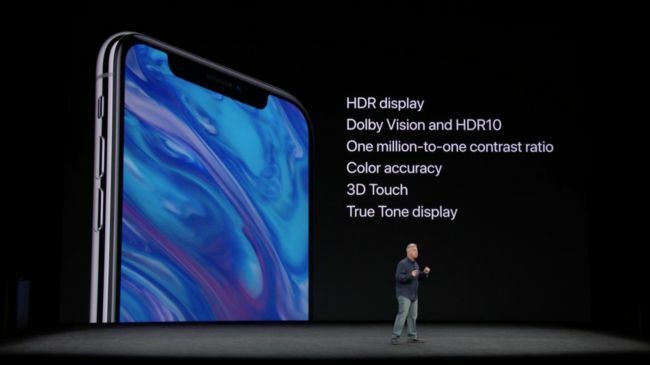 It uses a 5.8-inch OLED display that Apple says it the first one that's great enough to be in an iPhone. It's supposed to have great contrast, high resolution, HDR formats and True Tone display technology. 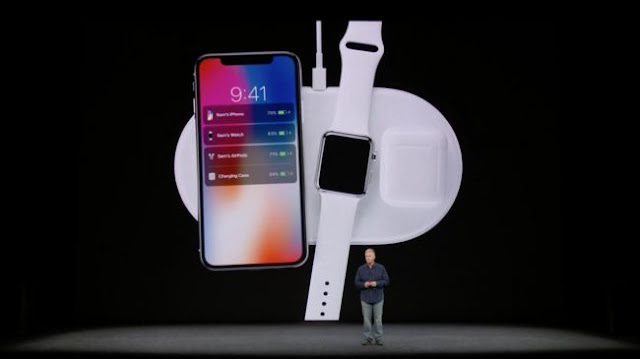 The iPhone X has wireless charging, and a new charging pad that can charge every new Apple product own: Apple Watch, AirPods and and iPhone X. This wide charging pad makes it easier to charging everything at once. However, Apple didn't lay out how much the AirPower pad will cost. It also requires a new AirPods case that has wireless charging built into it. There's no more home button, but uses swipe gestures to achieve the same actions. Apple likens this to slide to unlock. Where does the biometric protection come into play? Face ID, just as the rumors had predicted. "It's the future of we how unlock our smartphones," said Apple executive Phil Schiller at its press conference. The iPhone X has a true depth camera to pull this off with a multiple sensors, including an advanced dot projector, that works even in the dark. Apple claims that Face ID won't be spoofed by photos and even worked with mask makers in Hollywood to prevent even the most advanced attempts to break into your new iPhone X. Touch ID failing you was 1 in 50,000. 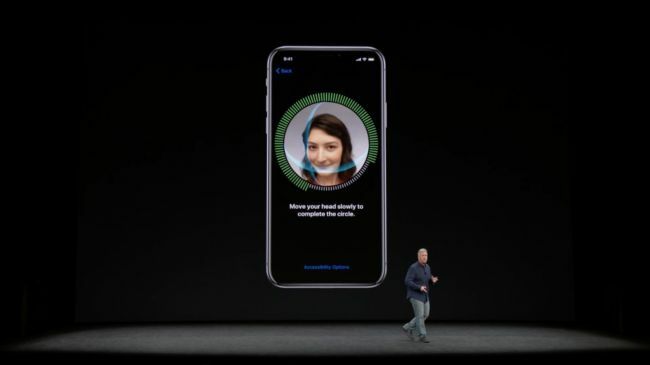 The chance someone can look at your iPhone and unlock it with Face ID? 1 in 1,000,000. These look like fun, even if their point is a bit meaningless, but fun. 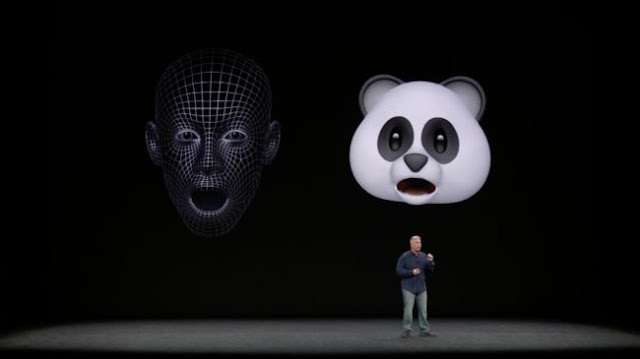 It's no surprise that Apple is working with Snapchat on using the front-facing camera to bring new, more realistic masks to its photo-sharing app. 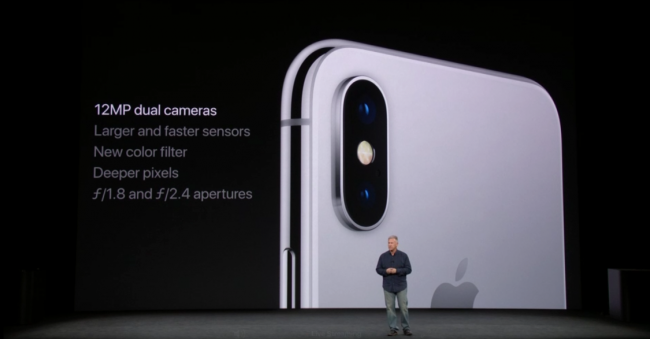 Apple sticks with 12MP cameras for its iPhone series in 2017 , but if you optical image stabilization on both the telephoto and wide lens, then you're going to have to buy the iPhone X. The camera sensors and larger and faster, capture what it calls "deep pixels" and has an f/1.8 aperture and f/2.4aperture. Apple is going for big changes with the iPhone X, and we're pretty sure of this because there have been so many leaks over the last few days. The screen is getting bigger, yet the phone will likely be smaller than the Plus. The home button you know and love has vanished, and so has the aluminum casing, both to much controversy. You're in for a world of change with the iPhone X. Let's explore the top features ahead of today's Apple iPhone X live stream. 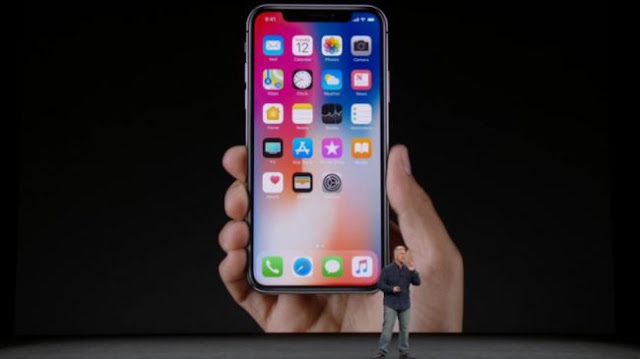 The iPhone X is going to look radically different to every previous iPhone, with a 5.8-inch edge-to-edge screen that rids Apple's smartphone of bezels, but also its usual home button. It's an 'all-screen' phone that will compete with the Galaxy S8, Note 8, LG G6 and The Essential Phone. Apple is ready to take on Samsung's 'Infinity Display'. It won't be dramatically curved, as some have speculated, but it will come with a rich AMOLED display that's great for showing deep blacks by effectively turning those pixels off, thus saving battery life. 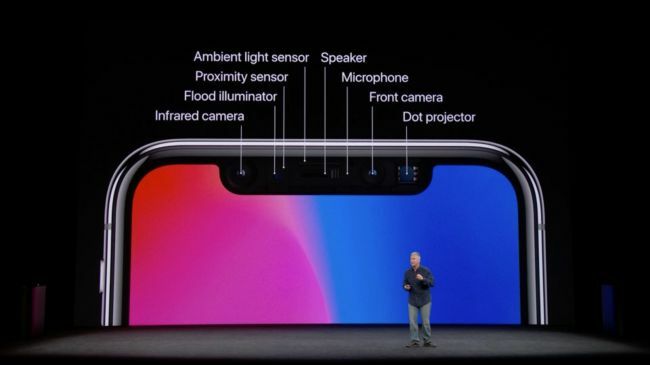 There will be a 'notch' at the top of the display, and this will house the exciting new iPhone X 3D face-scanning sensors, which we'll talk about in a moment. That 5.8-inch screen may seem like a big increase from the 5.5-inch iPhone 7 Plus, but the iPhone X dimensions appear to be smaller. 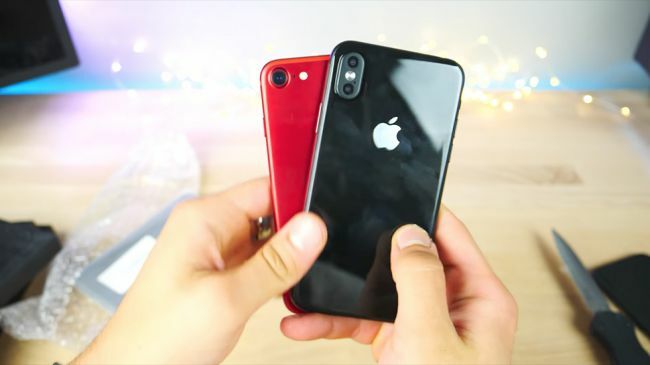 Leaks point to it actually fitting in between the 4.7-inch and 5.5-inch iPhones, the perfect size for most people who have Plus-sized screen envy but who enjoy the manageable size of a standard iPhone. It's the best of both worlds. 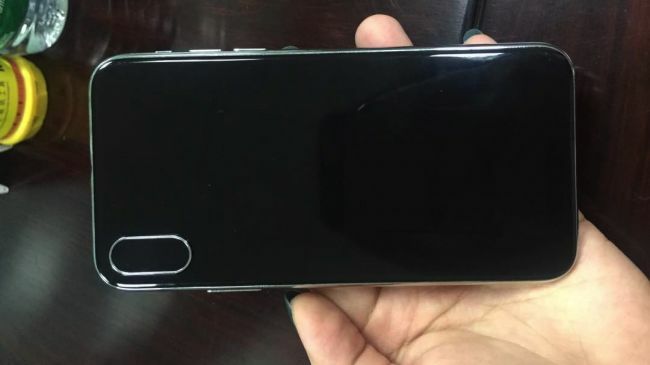 The iPhone X leaks also point to a glass design, ditching the aluminum casing that Apple has tried to perfect over the years. That means it'll be able to get rid of ugly antenna lines. Better yet, phones that are made of glass can more easily conduct electricity, enabling convenient (but often a tad slower) wireless charging. It'll be interesting to see if Apple includes a wireless charger considering the high iPhone X price. Wireless charging has been a perk that Android phones have featured for years now, and it'll make its debut for Apple fans on the iPhone X. The iPhone X won't have a typical home button thanks to that all-screen display which will take up almost the entire front of the phone. Instead, it'll have an on-screen button, though not even the leaks really give us an idea of what this new button will look like or how it will work. What we do know is how Apple intends to replace Touch ID. Without a place for a fingerprint sensor, you're going to have to unlock your phone another way. Face ID is Apple's new idea for authentication, using 3D face-scanning sensors to accurately detect your face at any angle, according to iOS 11 beta code. The lack of a physical home button and Touch ID are going to be two of the most controversial features of the iPhone X. Some important iPhone X specs have been leaked ahead of the launch event, tipping developers off to the fact that Apple will use an A11 Fusion chip. What does that mean? The iPhone X should be seriously fast, with the specs leak indicating a six-core A11 Fusion processor with four high-performances cores. 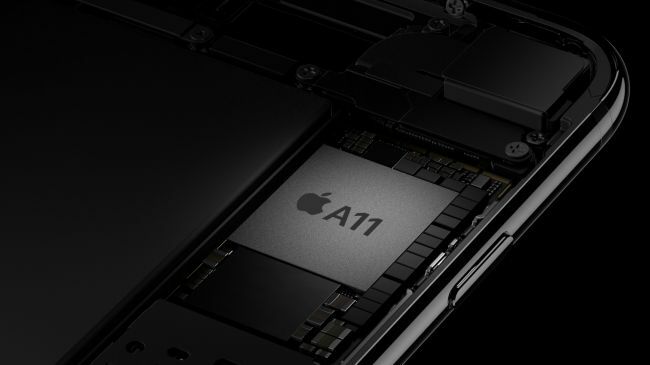 That's significant because the A10 Fusion chip in the four-core iPhone 7 series has two high-performance cores. In case you're wondering, the other two cores we never mention in each are energy-efficient cores – there's no need for powerful chip engines running when your phone is lying idle. One report has also suggested the iPhone X will come with 3GB of RAM, which is the same amount we saw Apple pack into the iPhone 7 Plus. 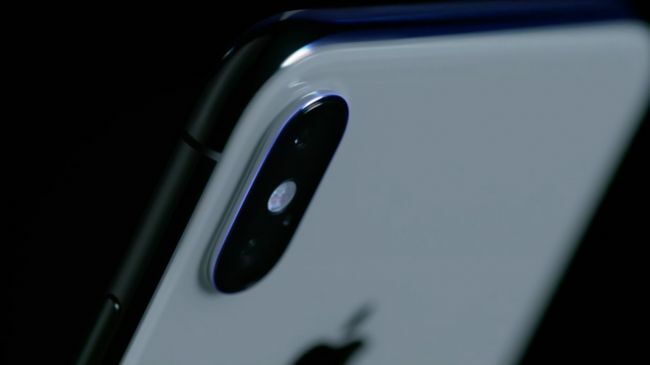 Multiple iPhone X leaks have shown that Apple is changing the orientation of the dual-lens camera in its new smartphone. The dual-lens camera has been rotated to be vertically aligned, but we don't know if this means it'll see a big upgrade over last year's two 12MP cameras. The iPhone X will, however, see an upgrade to Portrait Mode, the iPhone 7 Plus feature that takes tightly-cropped, bokeh-rich (background blurred) portrait photos. Apple is adding something called Portrait Lighting, according to the iOS 11 leak. This apparently uses machine learning and the camera's depth sensing to add the best light to your portrait photos. Lighting effects include Contour Light, Natural Light, Stage Light, Stage Light Mono and Studio Light. Apple is taking another page out of the DSLR playbook with the iPhone X.
Apple is very bullish on augmented reality, favoring AR over VR. CEO Tim Cook mentions AR during almost every one of Apple's quarterly earnings call. 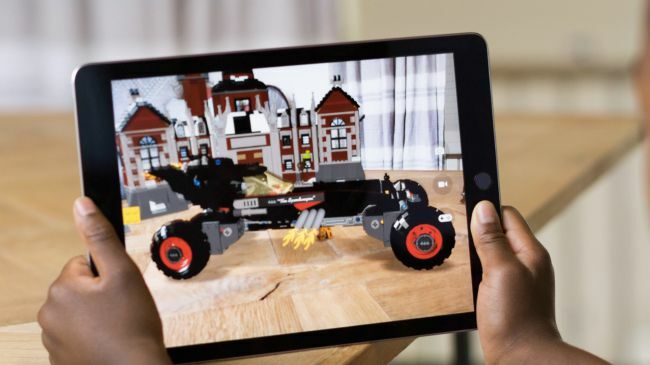 iOS 11 beta is already transforming your world into a virtual playground, with games that create digital objects on empty tables when you look through an iPhone or iPad. Home furnishing giant IKEA, meanwhile, is creating practical furniture measuring tools. That's why we think AR is going to play a big part on the iPhone X, although any exclusive features it gets may be minimal, as older iPhones will get AR too. Why do we think it's the iPhone X? iOS tinkerer Steven Troughton-Smith claims to have found mentions of the iPhone X within the next version of Apple's software. 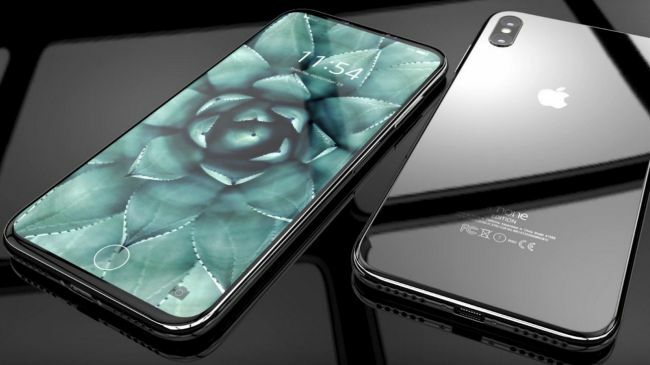 Troughton-Smith tweeted that the three new handsets from Apple will be called the iPhone 8, iPhone 8 Plus and iPhone X. He believes the phone codenamed D22 will be the iPhone X, which is expected to be the bezel-less – and the most expensive – handset. 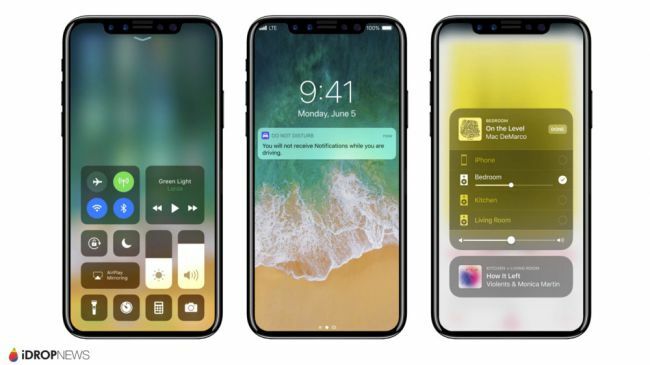 The software in question is pretty much the final software for the new phones, but Apple could have changed its mind at the last minute, or 'iPhone X' could even be a leftover mention of an old name. Another leak of the name iPhone X appeared in the form of a retail box with the new name emblazoned on the side. It's apparently from Dutch telecom provider KPN, and was accidentally sent to LetsGoDigital. The image below has since been removed by the source website, but you can see the purported iPhone X box below. Apple releasing this kind of image ahead of a launch event is unprecedented, and it's a strange leak, with the site originally reporting that the image was sent by a marketing agency ready for an advertorial piece. But it does add extra fuel to the blaze of iPhone X rumors – and we've heard the name from other credible sources before, with Twitter leaker Evan Blass believing the new phone will be called that rather than the iPhone 8.
iPhone Edition is another name we've heard rumored, which would make more sense as the company has previously stocked a product called the Apple Watch Edition. Another leak from the US phone network Discover also refers to the device as the iPhone X Edition, so we may see both phone names merge together for the big launch. It's not long now until we know the official name though with the launch event taking place today where we also expect to see the Apple Watch 3 and perhaps even a 4K Apple TV.